From in-depth artist interviews and revealing gear reviews to thought-provoking columns and insightful lessons, Bass Magazine is your daily destination for everything low end. 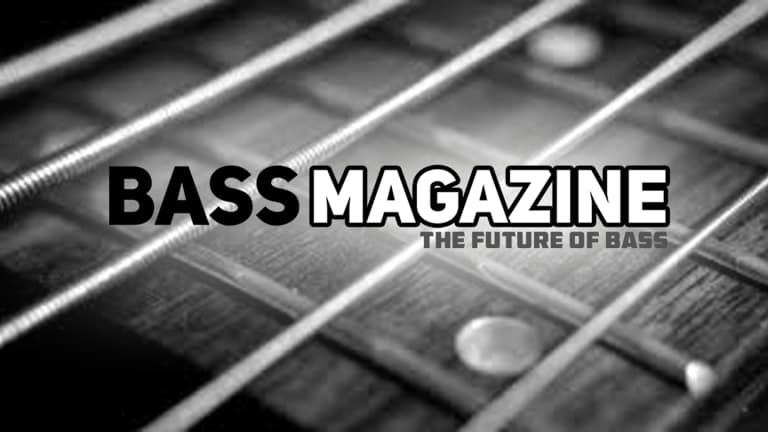 We’re thrilled to announce Bass Magazine, a new monthly digital publication with daily web and social media posts dedicated to being the leading light on the past, present and future of bass. From in-depth artist interviews and revealing gear reviews to thought-provoking columns and insightful lessons, Bass Magazine is your daily destination for everything low end. Bass Magazine is brought to you by the team that created and ran Bass Player magazine for its first 30 years. Headed by Editor in Chief Jon D’Auria, Senior Editor Chris Jisi, and Editor at Large Elton Bradman, the team includes Jonathan Herrera, Jim Roberts, Ed Friedland, Rod C. Taylor, Freddy Villano, John Goldsby, Stevie Glasgow, Karl Coryat, Bill Leigh, and Patrick Pfeiffer, with contributions from the top bassists in all genres and the most widely respected gear manufacturers. Launching at NAMM 2019 with with extensive coverage of the show, Bass Magazine’s premiere issue will hit screens on March 1, featuring a star-studded lineup of features, gear reviews, transcriptions, columns, lessons, and record reviews to keep you up-to-the-minute informed on everything happening in the bass world. In addition, Bass Magazine will be organizing the first of our regular live bass events in the fall of 2019. For more details look for us at NAMM, and join us in shaping the future of bass!